We’ve been lucky enough to spend plenty of time in the bonkers McLaren Senna, and we would have to say that it’s hardly in need of even more performance. But that didn’t stop McLaren from launching the even more focused and aggressive Senna GTR, a new track-only model that’ll go into production in September 2019. 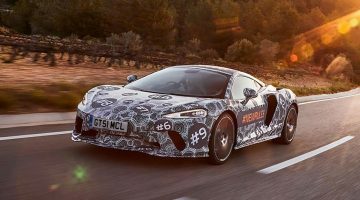 The GTR was first revealed at this year’s Geneva motor show and now McLaren has released further specifications for the track-only special, including its $1.43m asking price. Starting with the powertrain, McLaren has confirmed that the standard Senna’s 4-litre twin turbo V8 engine will have its power raised to 814bhp, up from the standard Senna’s 789bhp. 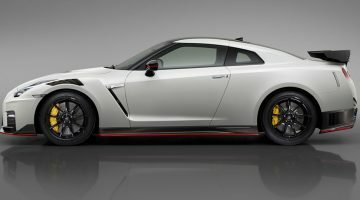 The GTR’s extreme power will be channelled through what’s termed by the company a ‘race style’ transmission. The overall weight, perhaps surprisingly, has not been reduced, instead being ‘similar’ to the 1,198kg dry figure given for the standard Senna in its lightest form. 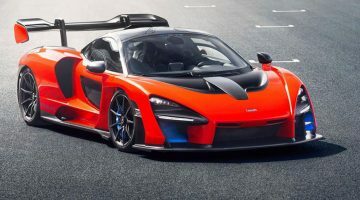 McLaren will surely have tried to offload as many kilos as possible for the GTR (the side windows are now polycarbonate, for example), so this is perhaps a reflection on just how pared back the Senna already is, even in road-going spec. The Senna GTR’s chief weapon is likely to be the sheer amount of grip it can generate on the race track, partly attributable to a new design of wheel shod with Pirelli slick tyres, revised suspension and wider tracks. But it’s also due to an evolved aero package, obvious from the photos, with the jutting front splitter and enlarged rear diffuser meaning there’s up to 1,000kg of downforce being generated. Wider front and rear wings on the body cover those wider tracks, and these along with other components can now be clipped on and off ‘allowing relatively easy modification’, perhaps if enthusiasm overcomes talent. The GTR will be significantly rarer beast than the standard Senna too, with only 75 being built once the Senna road car’s production schedule is complete in September 2019. If you want one though, you’re probably a little late as all units have already been sold.